O-ring synthetic lubricant is used to prolong O-ring performance and assist in assembly. It is important to pick the right grease to suit your O-ring compound and application use, as some chemicals are not compatible. Silicone Grease is not compatible for silicone O-rings, use PTFE instead. Choose your compound below and buy online. 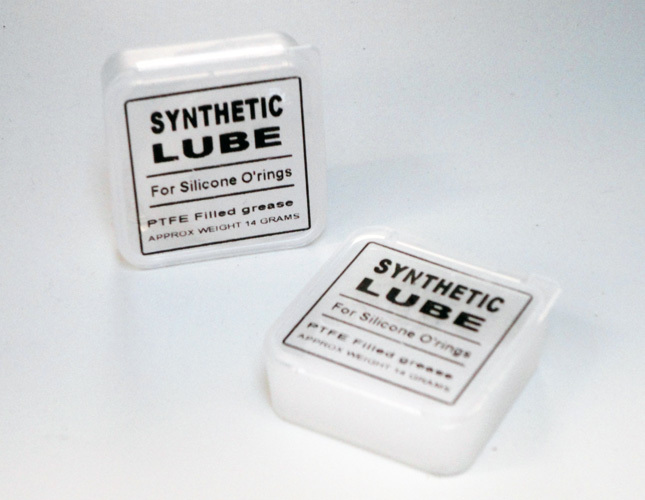 Silicone grease is a great choice for waterproofing and lubricating most compounds, especially natural rubber. It is resistant to a wide range of chemicals, it has a low toxicity and is oxidation resistant. PTFE is a great multi-purpose lubricant, unlike silicone grease it is compatible with most compounds. In comparison to other petroleum-based greases, PTFE will provide a longer lasting performance.